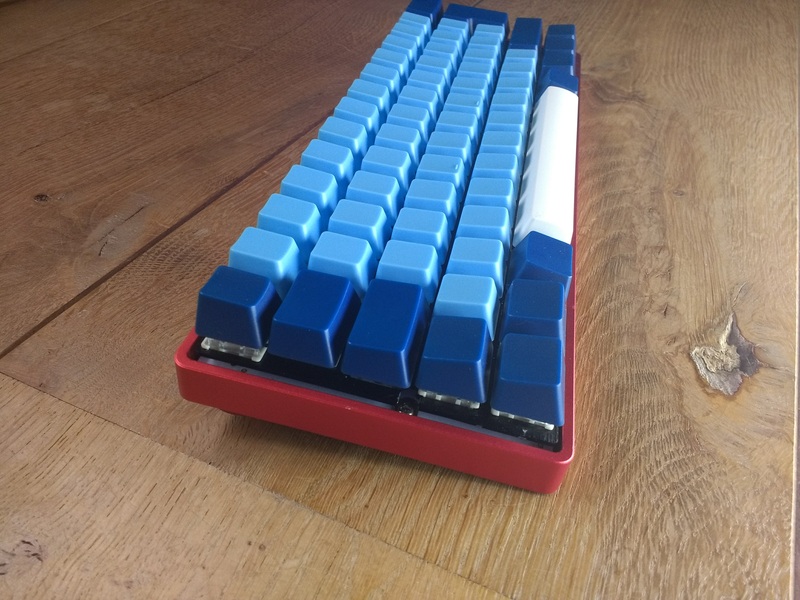 Since posting, I have had a lot of messages about this keyboard. I will gladly make these to order if people would like. 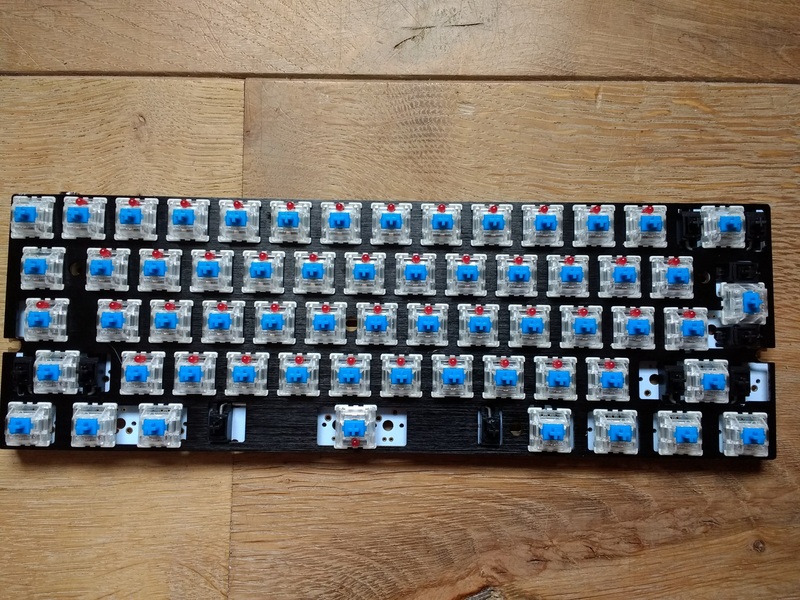 Get in touch at customkeyboardsbyben@gmail.com if you are interested. This is something I’ve wanted to do for a while but never got round to. I was initially going to design my own PCB, but sadly A level exams are a thing, and I just wanted a quick project. 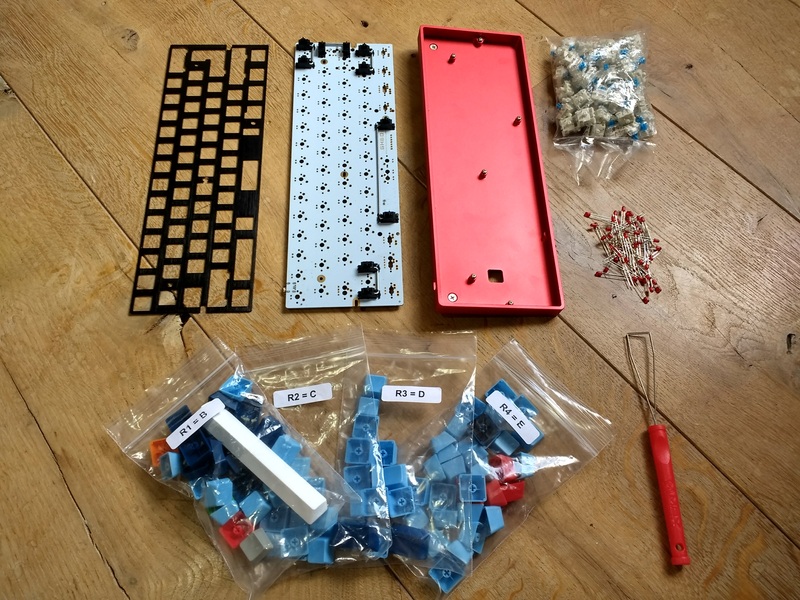 The keycaps are a custom set I designed and MaxKeyboards sent over from the US. The case is CNC’ed aluminium that’s been anodized. It cost a bit more than a plastic case but I’m glad I paid the extra as it adds a nice weight. I tried inverting the spacebar and liked it so much that the Alts got the same treatment. 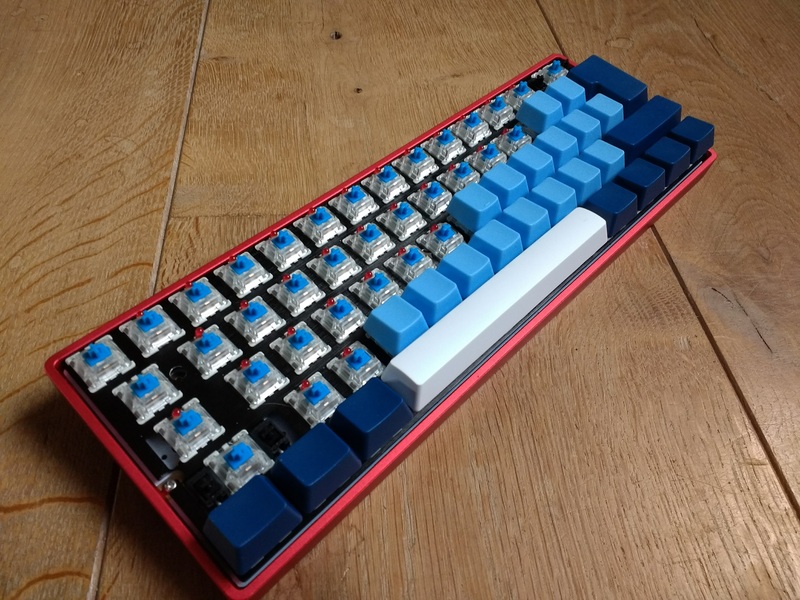 I flashed it with the QMK firmware, and modifying the layouts and layers is an ongoing thing. Holding spacebar is my main alternate layer, which gives me arrows, media keys and PgUp/Dn on the home row. I’m also playing around with some mouse functionality when Caps is held. where am to buy this and all? Hi Anu, I’ve added some links to the parts I used.